This Sunday night in Staten Island. 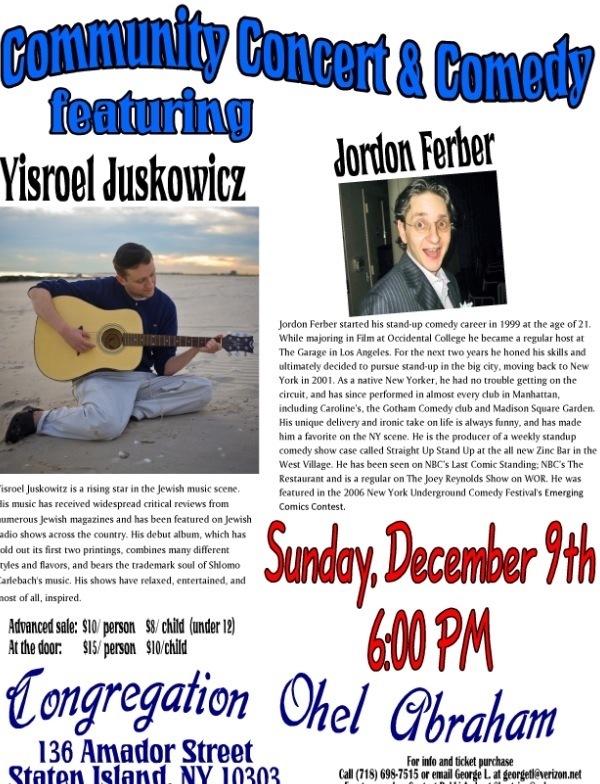 Yisroel Juskowicz will be accompanied with the very talented and amazing Hillel Kapnik. An inspiring and funnight of food, music, and comedy!